This vignette based study aimed to examine recommendations of health care professionals (HCPs) in promoting self-management strategies to cancer patients. Nine-hundred-forty-two physicians and nurses were asked to (1) indicate if they would recommend self-management strategies to a vignette cancer patient, and (2) to specify those in an open format. Vignettes included a manipulation of patient age (60 vs. 75 years) and treatment phase (currently treated versus treatment completed). Six categories emerged through coding a total of 2303 recommendations: physical activity (71.8%), nutrition (64.3%), psychological support (36.7%), medical support (29.2%), conscious living (17.2%) and naturopathy (12.3%). While psychological support was particularly recommended during treatment, physical activity was more frequently recommended after completion of treatment. Results suggest that HCPs recommend a variety of self-management strategies besides standard medical treatment. 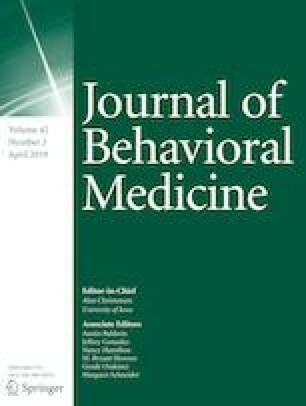 Patient’s treatment phase and age seem to partly influence recommendation behavior, potentially indicating insecurities regarding acute treatment situations and age-related stereotypes. Karen Steindorf and Joachim Wiskemann shared last author. This study was part of the Momentum Project Heidelberg and was supported by a Grant from the German Cancer Aid (Grant Nos. 110512, 110551 and 111223). We thank Anastasia Penner, Fiona Rupprecht, Sophie Scherer and Kim Alice Schouten for their help in the recruitment, coding procedure and data-management. Nadine Ungar, Laura Schmidt, Martina Gabrian, Alexander Haussmann, Angeliki Tsiouris, Monika Sieverding, Karen Steindorf, and Joachim Wiskemann declares that they have no conflict of interest.